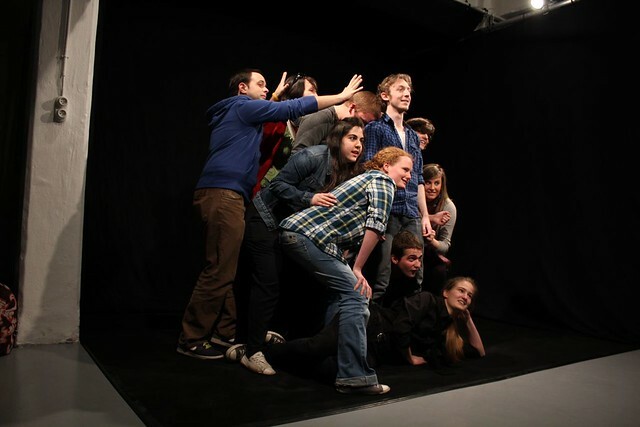 The whole 12i experience is definitely funny and surprising, for the enjoyment of old and young alike. 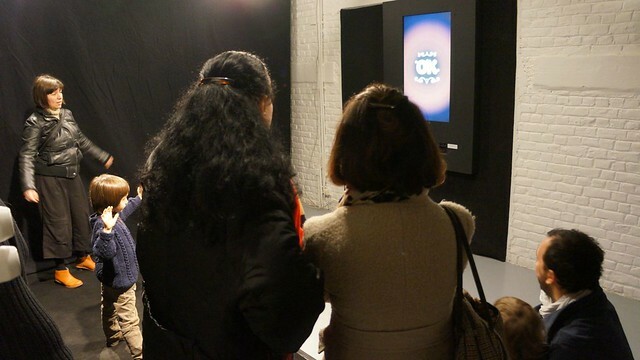 The participants can also share their recorded animations on the 12i.tv website. 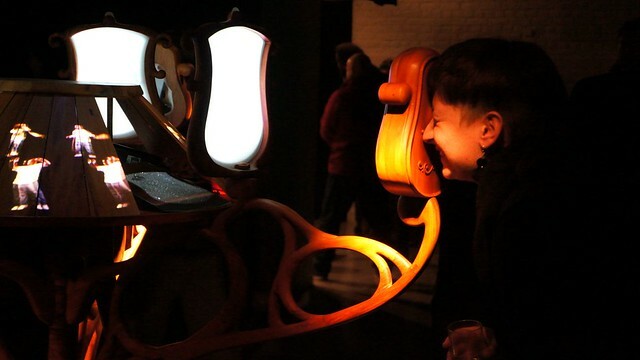 Partly made with digital fabrication techniques, the installation is highly participative and allows the visitors to interact with their entire body, making the experience absolutely hilarious. 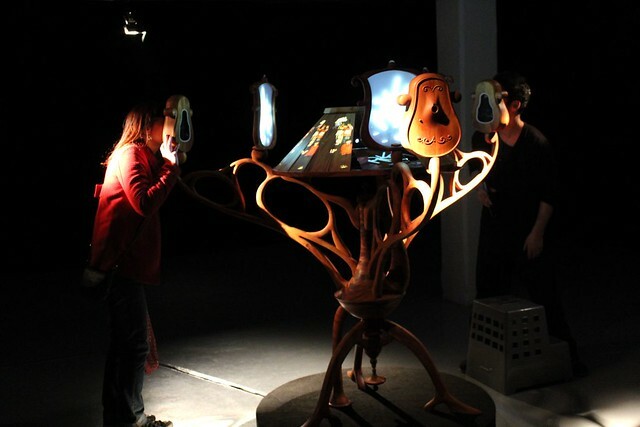 12i has been presented during Rumos Arte Cibernética at Institut Itaú Cultural (São Paulo, Brazil) where already 5.000 animations have been recorded (see 12i.tv). 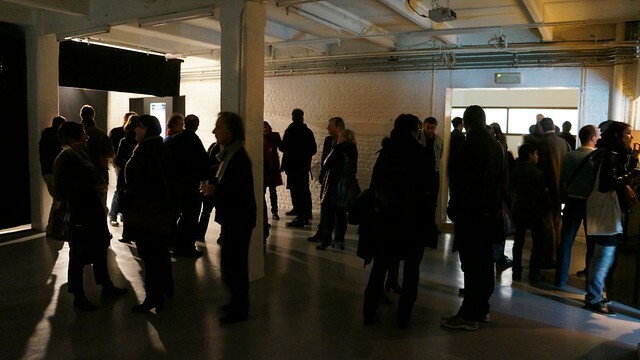 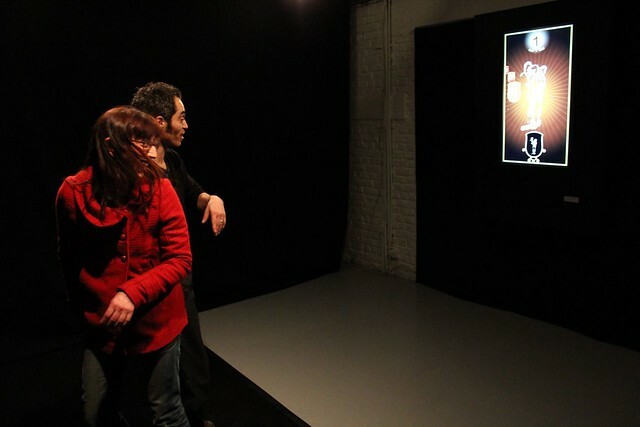 After a first production residency at iMAL in 2011, it is now finally presented in Brussels. 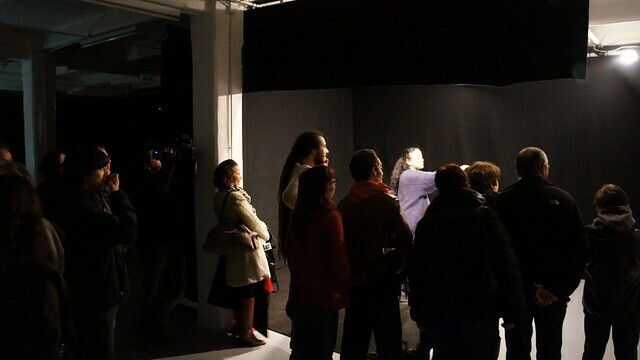 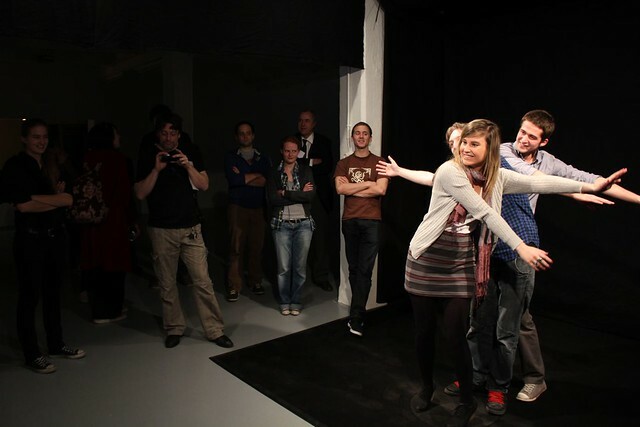 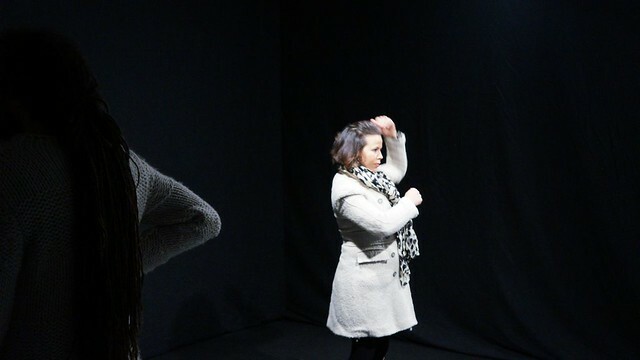 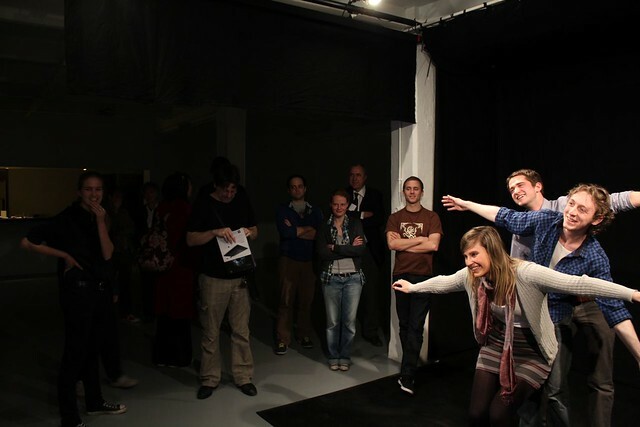 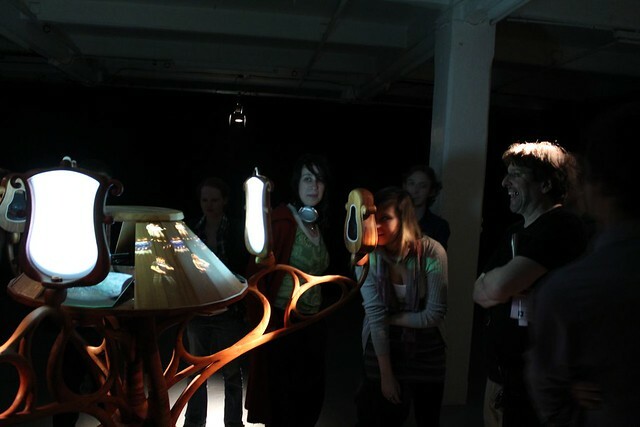 12i is an interactive and participatory sculptural installation fed by the participants' personal animations. 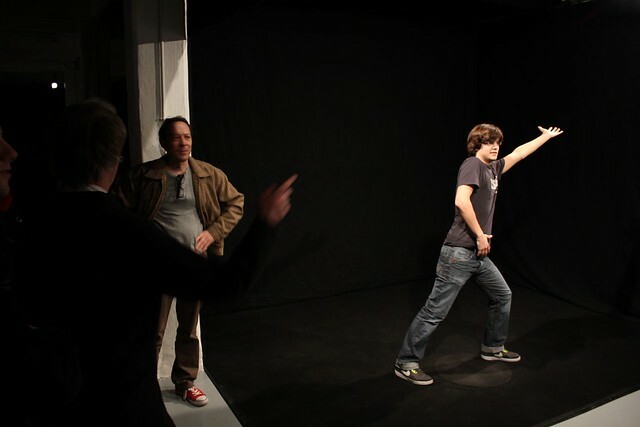 It takes place in two steps: the capture studio (REC) and the cinematic sculpture (PLAY). 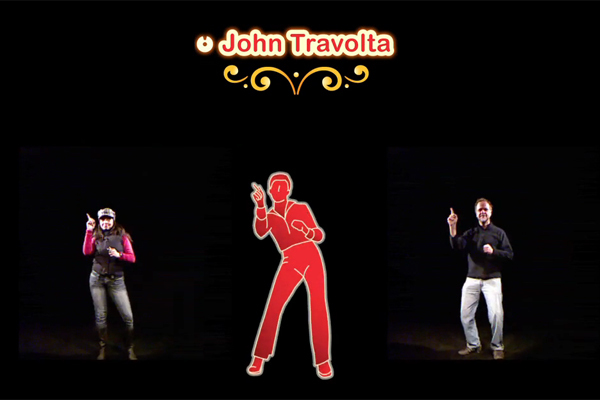 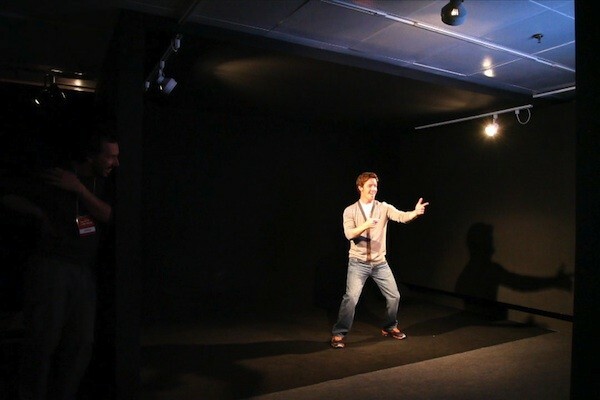 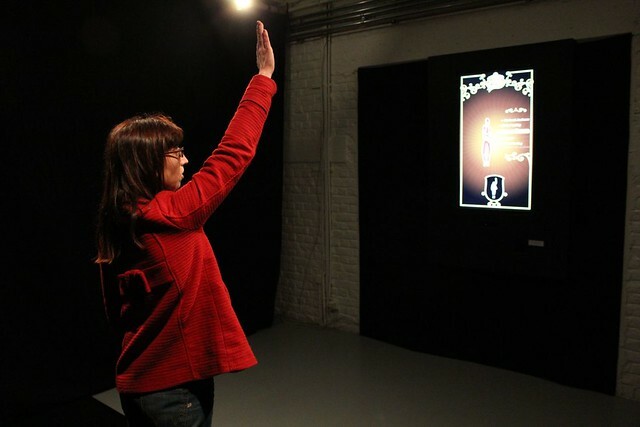 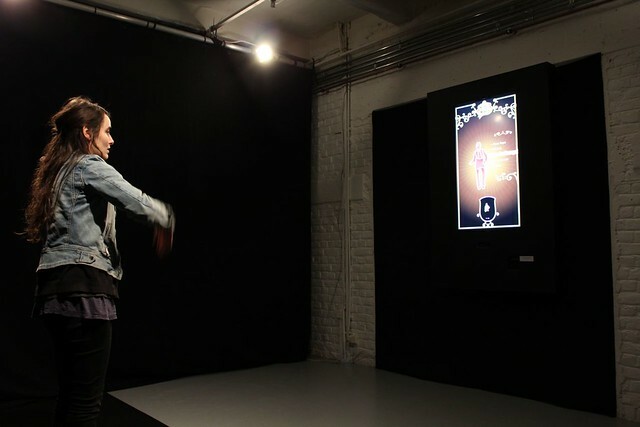 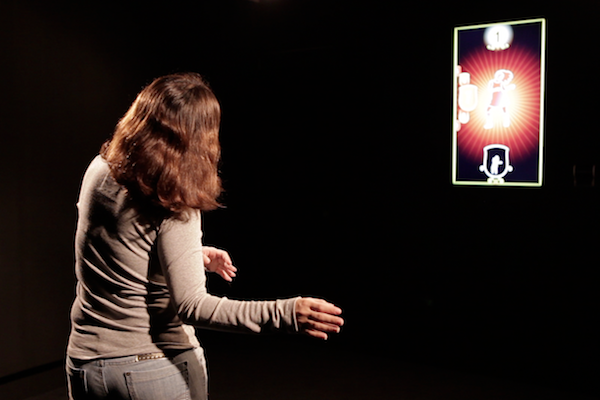 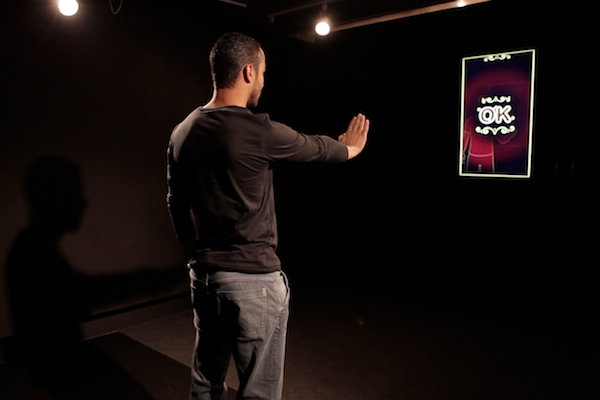 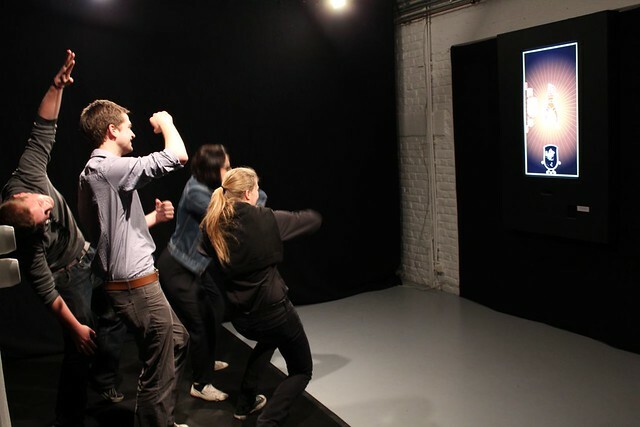 In the REC space, the visitors are asked to record, through a screen-camera display, their own dance move animation in a sequence of 12 images. 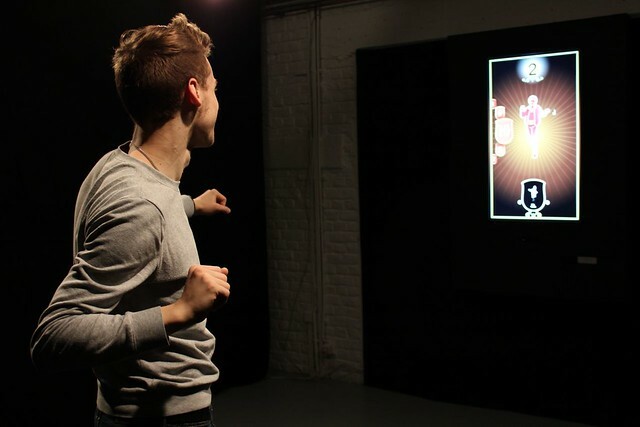 They can choose between a selection of themes or they can create a freestyle animation. 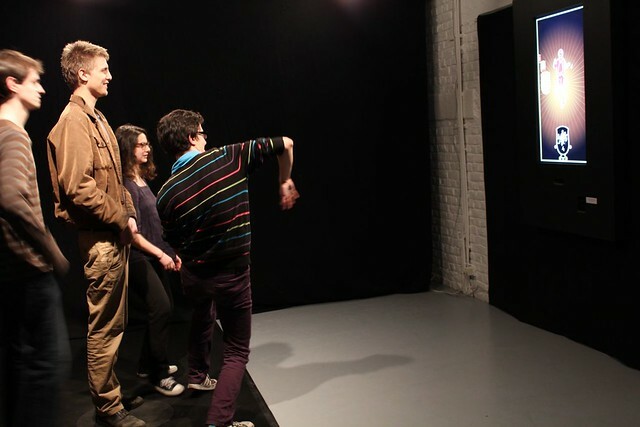 After recording his sequence, each participant receives an ID ticket and enters the PLAY zone where he finds the cinematic sculpture. 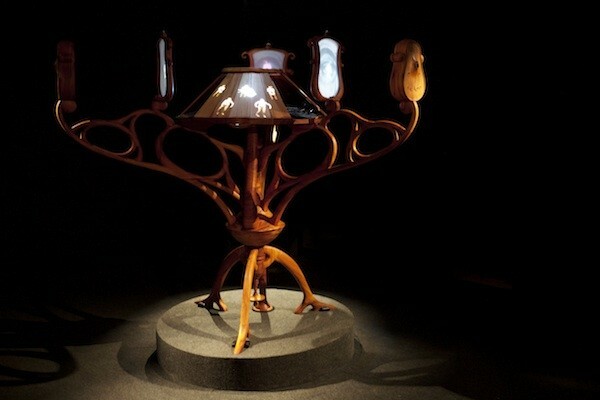 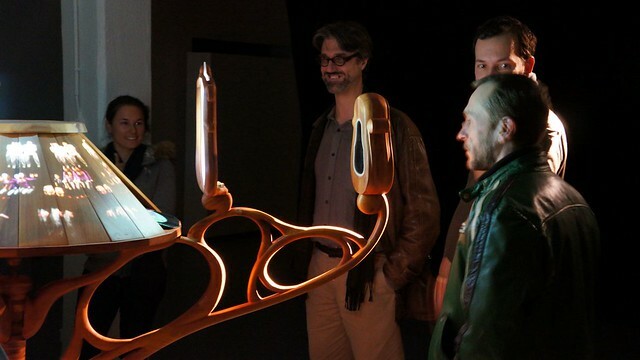 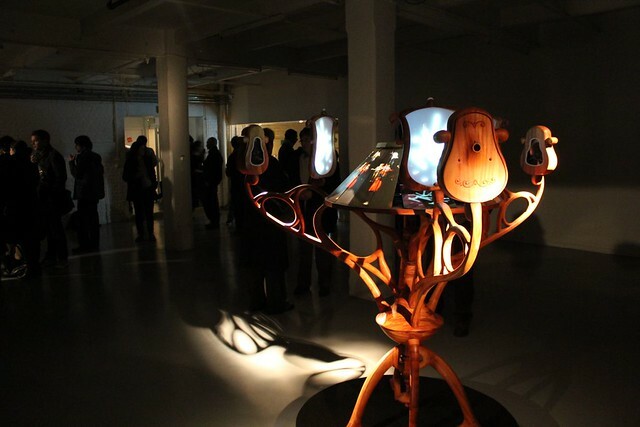 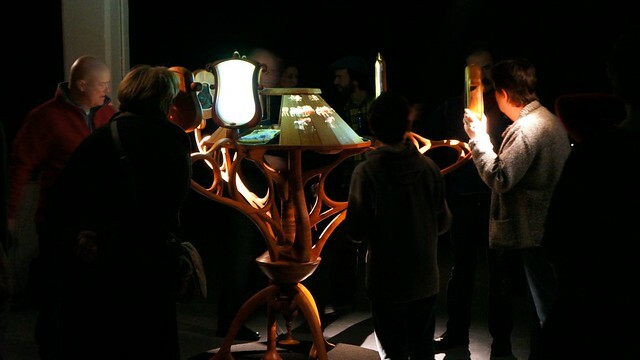 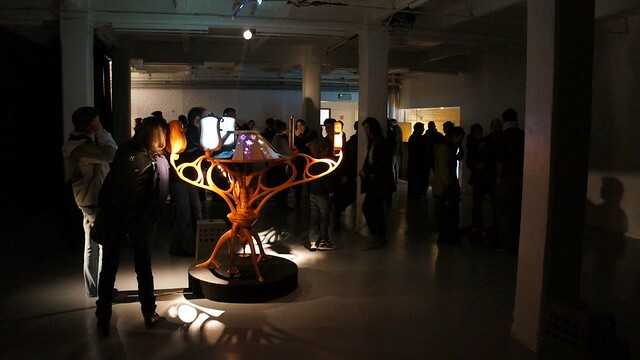 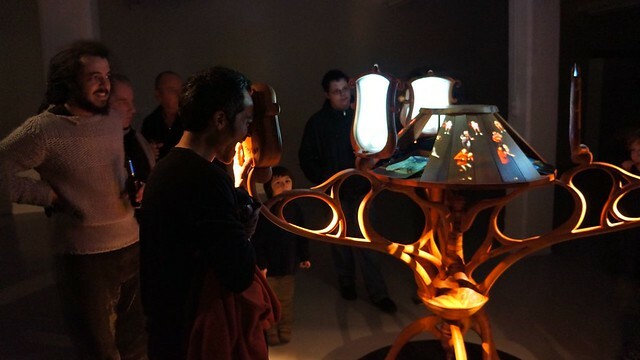 Once the ticket is scanned by the 12i zoetrope, the sculpture displays their personal animation combined with the ones of the other participants who have chosen the same theme, mixed with sound and visuals. 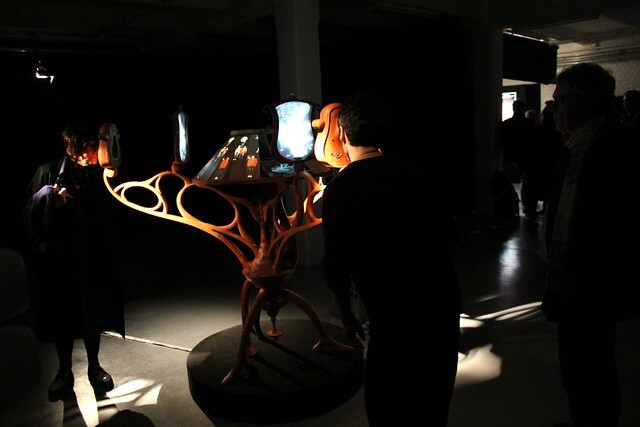 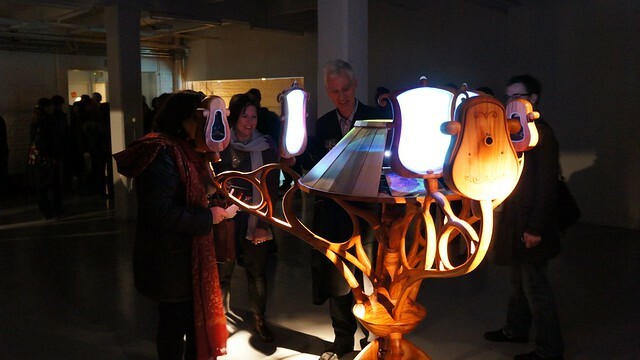 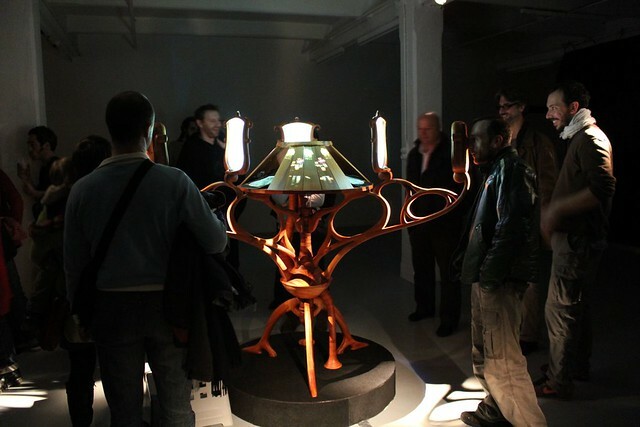 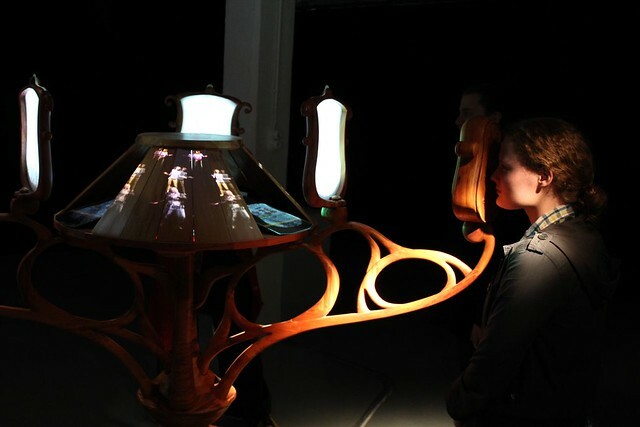 Processing real-time content, the 12i zoetrope provides an interactive display of audiovisual elements that are activated by the audience. 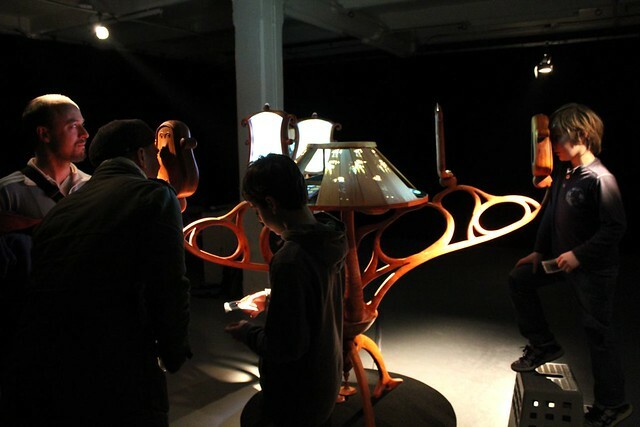 12i faithfully applies the principles of classic animation and of the zoetrope - the rotation of 12 images creating the illusion of movement – and combines it with today’s technology. 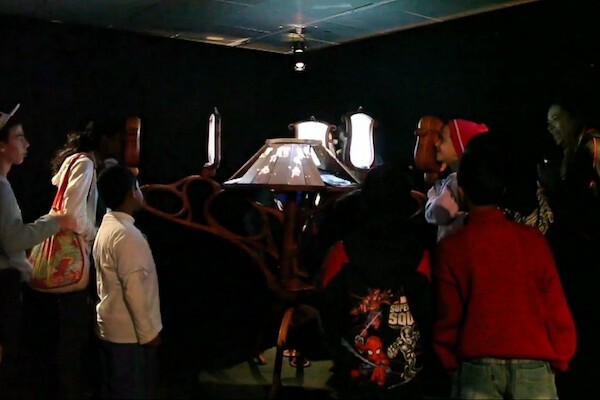 It is based on the phenomenon of persistence of vision, revisited by the use of 2 projection sources, thus creating a magical experience. 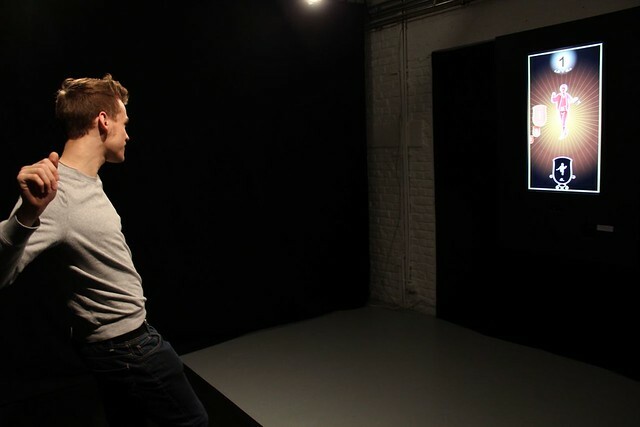 The installation is completed by a real-time web upload of the users' animations on 12i.tv, enabling them to share their creations with friends and family. 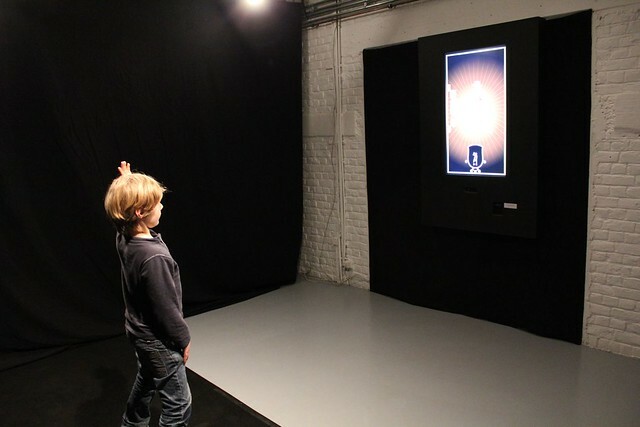 * device invented in 1833 by William G. Horner that produces an illusion of action from a rapid succession of static pictures, popularly referred to as the 'wheel of the devil' (see Wikipedia). 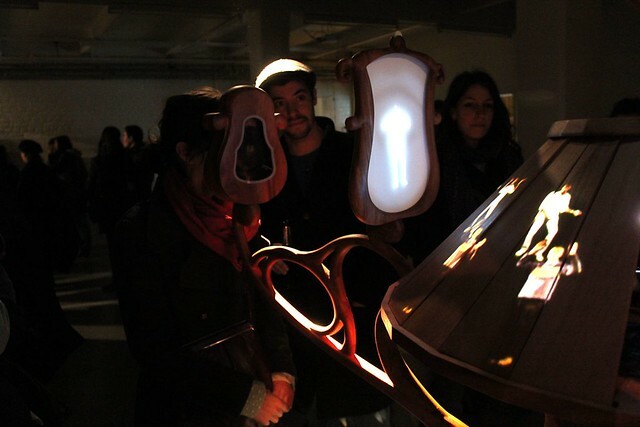 Graduated in industrial design, graphic design and animation, Marcio Ambrosio (BR) has worked in different sectors: animation, advertising and post-production. 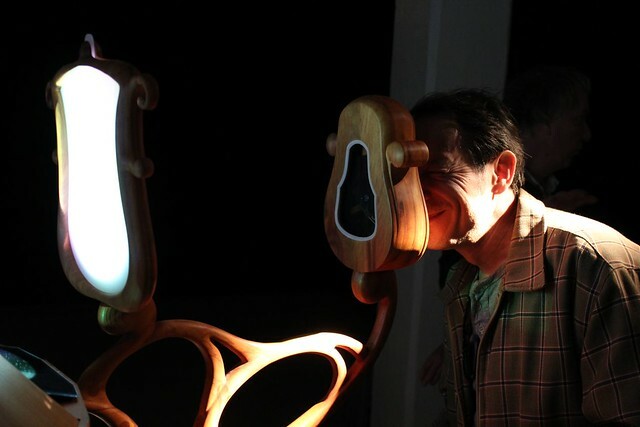 Besides, he participated in several international workshops and festivals with his art work, such as FILE 2007 and 2008 (Brazil), Japan Media Arts Festival 2008 (Japan) and Transitio MX (Mexico). 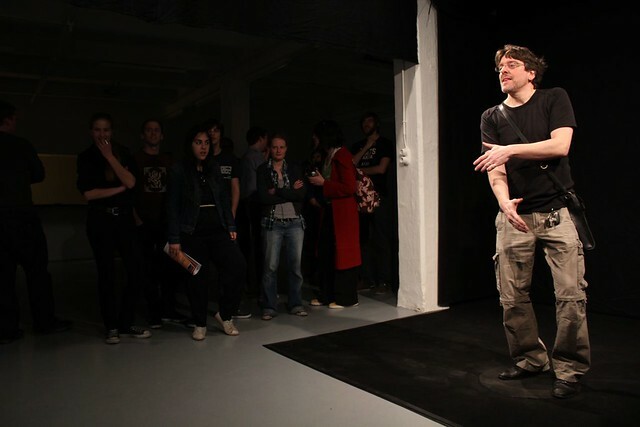 In 2004, he formed the collective zzzmutations, to produce short animation films and develop experimental and interactive projects. 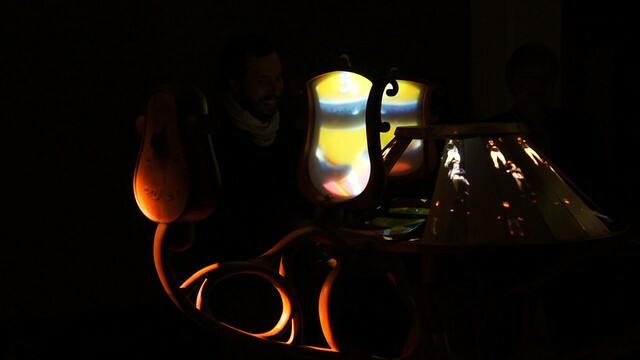 In 2008, his project Oups! 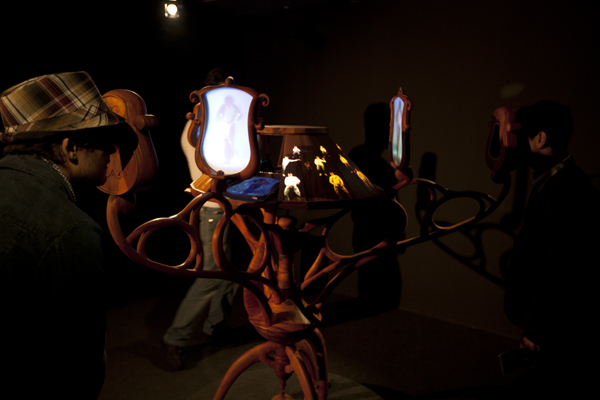 received the Grand Prize in the category "Art Division" at the Japan Media Arts Festival (Tokyo, Japan) and the Grand Prize Moving Image at Transitio MX (Mexico City, Mexico) in 2009. 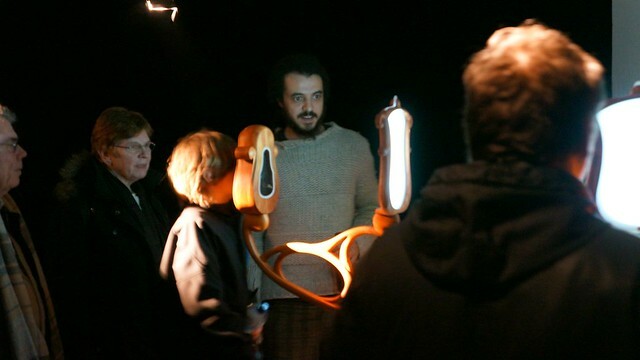 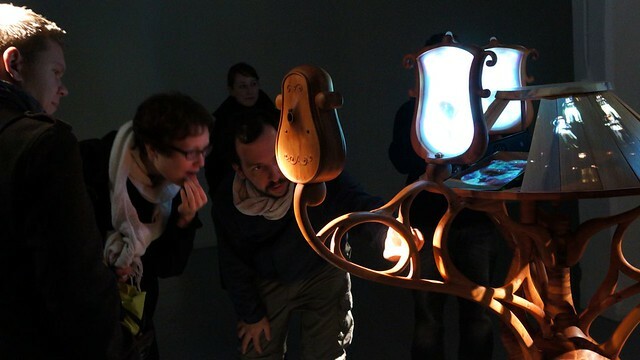 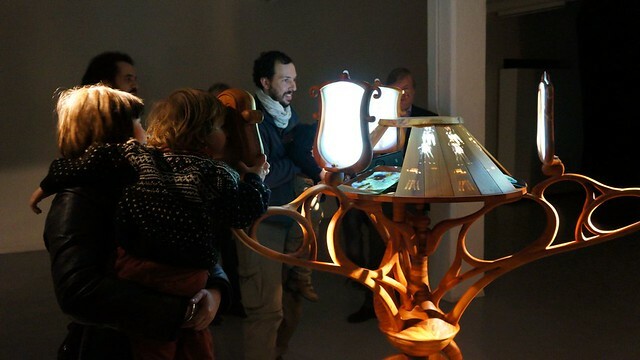 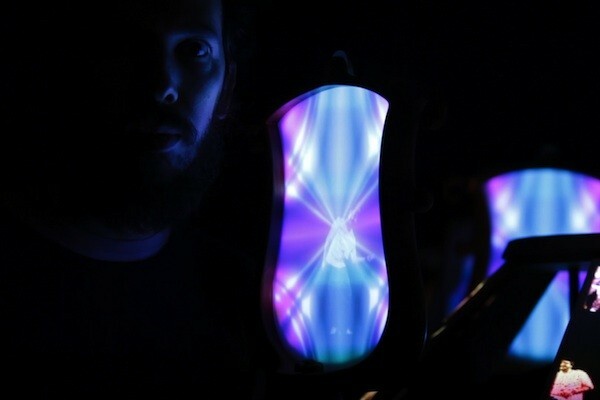 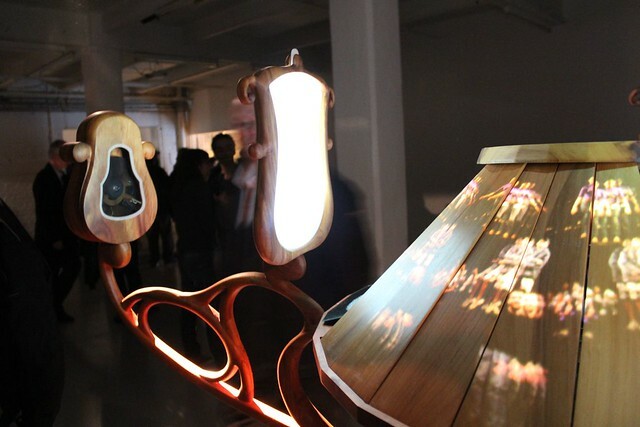 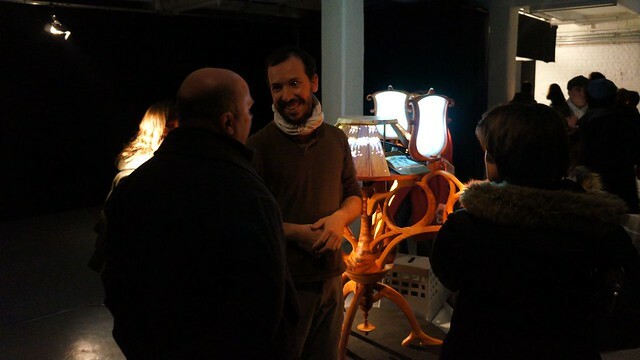 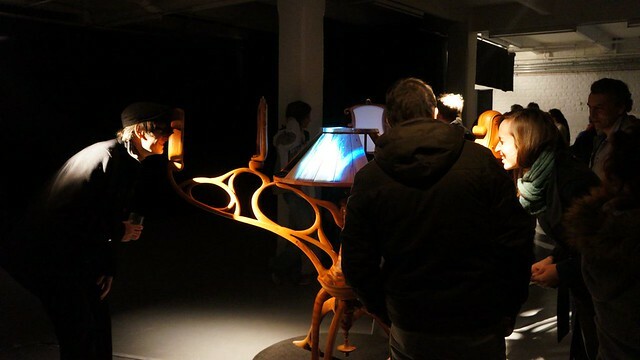 Today, he continues working at the crossing of animation and participative installations with the constant input of new technologies, ranging from computer vision to interaction design with a hint of electronics, digital fabrication or video mapping.